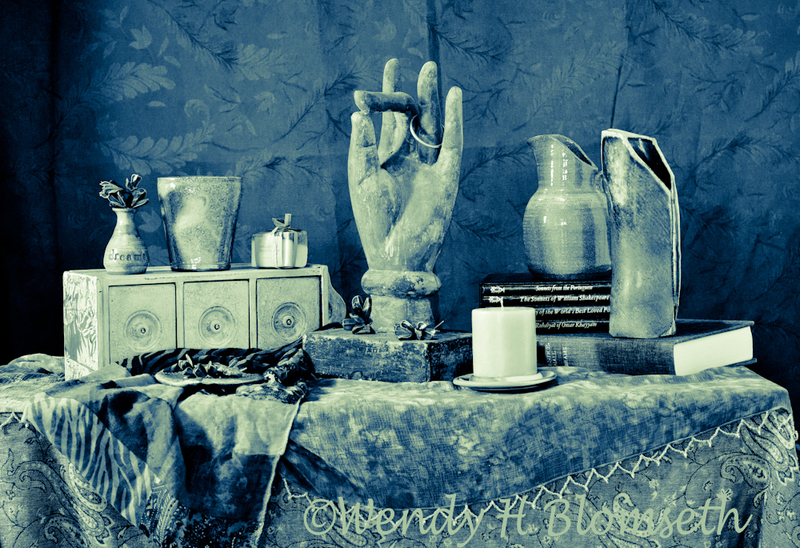 What would you do if someone invited you to create your own still life from their supplied elements? Would this be a dream come true, or a nightmare? This portrait was created November 2015 during the annual Vine Arts Center member show. 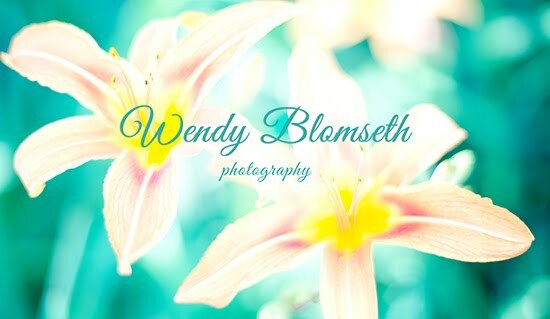 I set up elements of a still life and invited exhibition attendees to move things around, make it feel like their own and then create a portrait using the mobile device of their choice. 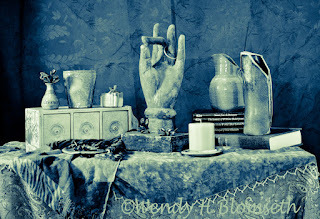 This blue tint, cyanotype, was my creation with the added touch of my earring on the ring finger of the hand statute. I apologize for the big gap between postings this past fall, 2015 when I was working toward curating the group art exhibit, The Space Between The Words, at the Vine Arts Center and late January 2016. As time and energy allows, I'll go back in and fill in some art and stories about the exhibition process.